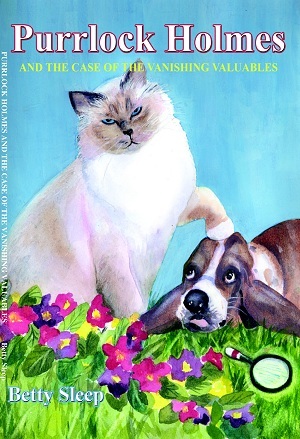 Felinity Publishing and the author are pleased to be able to provide you with direct sales, if you do not wish to order from an online store, or your local book retailer. 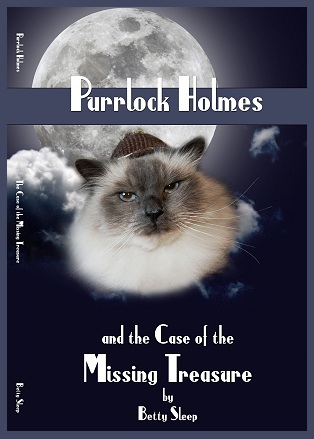 Individual copies of "Vanishing Valuables" or "Missing Treasure" may be ordered by writing sales@purrlockholmes com. Shipping and handling is $2.80, US or Cdn for single book orders. Multiple book orders will be charged accordingly. Email for the rate prior to ordering. Please note: this is surface post, letter mail and there is no delivery guarantee. If it gets lost in the mail, we cannot accept responsibility. However, you can opt for a signature card, which is an additional $1.50. This is proof that the book was received, and if not delivered within a reasonable time, it will be replaced at no cost. Your book will come inscribed and autographed with whatever message you supply. Currently, we can only accept Paypal. Clubs, shelters or organized rescues may purchase either book for fund raising purposes, at wholesale prices. Orders are non-returnable. If you wish, the author will mail you autographed bookplates for each of the books ordered. Please write sales@purrlockholmes.com for the full details.